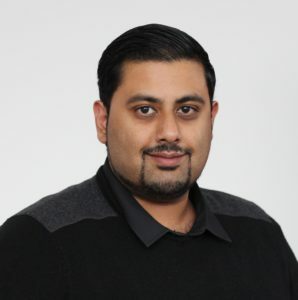 Joining SHE Software over two years ago, Sohaib currently works in the technical team, supporting customers and users with their technical enquiries. 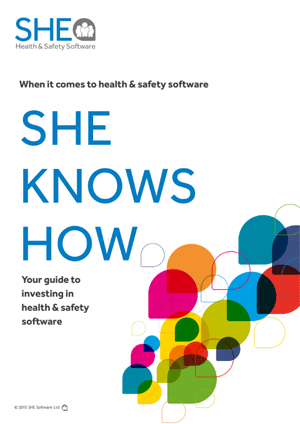 This month’s edition of our health and safety download features Sohaib Bismal, Technical Specialist, SHE Software. He has also been involved in the development of some new, exciting functionality enhancements to our health and safety software. Find out more about Sohaib’s role, some of the new functionality he has been busy working on and why he would love to be George Clooney for the day! Sohaib, tell us a bit about yourself? I am a self-confessed and proud technology geek. I joined SHE Software in 2015 as a key member of the Technical Services department having prior experience in sales, retail, e-commerce, customer services and IT. I’ve been married to my lovely wife for several years, I love spending time with my family and enjoy cooking as a hobby. There is no such thing as a typical day when you’re in my shoes! Each day brings new challenges and exciting opportunities to help and understand our customers, working across all departments on a number of different projects from both a technical and customer point of view. Working closely with customers also helps me discover new ways that we can use technology to enhance our software. The team have a large variety of responsibilities, ranging from internal IT support, customer support, testing of new software versions, project and sales support along with many more! In my role as Technical Specialist lead, I help oversee these activities and support the team with more complex issues. 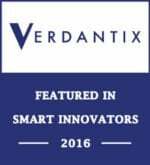 In what ways are you seeing health and safety software having a positive impact on our customers? From directly speaking to customers, I hear first-hand the benefits of proactively preventing accidents through acting on the reporting data within our Assure health and safety software. With a combination of modules and functionality ranging from hazard spotting, risk assessments and training needs analysis, customers can access reporting to help establish trends on potential hot spots to help narrow down and resolved potential hazards. The team have been busy working on a number of exciting new features and enhanced functionality recently. Can you tell us more? Our technical and development team have been busy recently, not only launching mulilingual capabilities but also developing Intelligent Questions (iQ) and AssureGo, the next generation of our mobile app. Multilingual functionality is available in all right-to-left languages benefiting employer and employees, with our health and safety software now accessible in a user’s first-language. This is increasingly important as more and more organisations adopt a global workforce and need to centrally manage health and safety information regardless of location. Intelligent Questions (iQ) is a brand-new feature which enables customers to configure questionnaires with branching and different question types. This can be integrated with existing modules and is also available as a new standalone module that will be a repository for all types of inspections, checklists, questionnaires, etc. – including non-HSE content. AssureGo is the next generation of our mobile app, providing not only a visually refreshed platform but it will be developed further to provide a greater degree of functionality for mobile. What is your biggest health and safety no-no? It has to be something that we are all guilty of at some point – not taking the correct measures to move large objects! In nearly every industry, moving large objects will happen at some point or another. Whether if it is office furniture or large heavy boxes that are being moved, without the proper measures back injuries can be sustained thus potentially causing lost time off work. Regretfully, this is all still too common but can be prevented with proper measures and training. I love spending time with my wife and family, whether outdoors and exploring new things or staying indoors and relaxing. Retaining my title as a self-confessed technology geek is something I take very seriously! From learning about all new things technology-related to keeping up-to date in current and future technology trends – I just can’t help myself. A good question! Ok I am going to confess…..sometimes I watch Looney Tunes cartoons to bring back some fond childhood memories. Last question! If you could be any celebrity for one day, who would it be and why? Mmmmm this is a difficult one! I would love to try my luck at some point doing a bit of acting (even if badly) so would have to choose the screen idol who is, the man himself……. Mr George Clooney. Not to mention, Ocean’s Eleven is one of my favorite movies of all time!